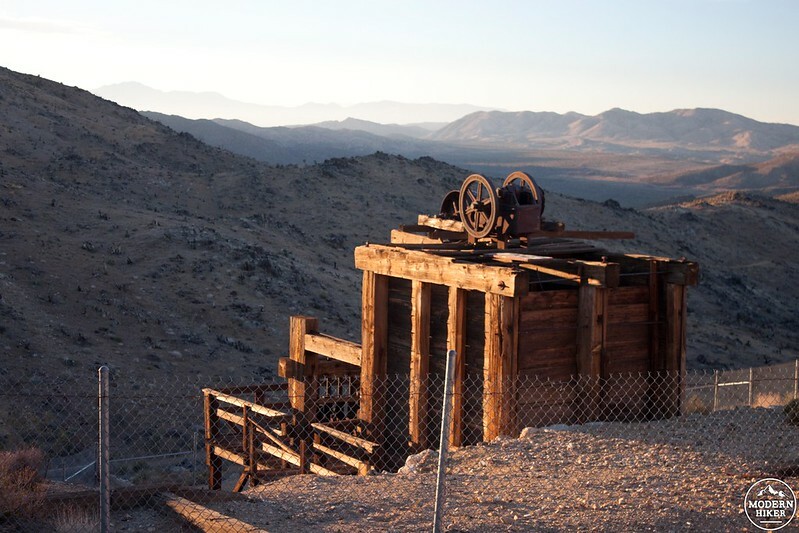 Lost Horse Mine is a hardy relic of the California Gold Rush era and one of the best-preserved mines found in Joshua Tree National Park. 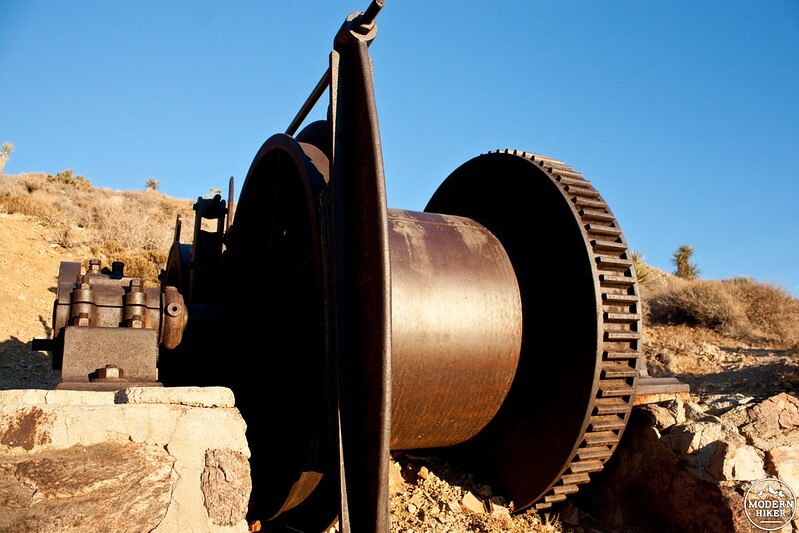 The history of the mine dates back to Johnny Lang, a rancher who bought the claim for $1000 in 1890. This mine was very successful, producing more than 10,000 ounces of gold and 16,000 of silver in its 37 years of operation. That’s around $5 million in today’s currency. While the mine is definitely the highlight of this hike, there are other gems to be discovered along the way. Lost Horse Mine is accessed either by hiking the entire loop around Lost Horse Mountain (6.7 miles), or by an easier out-and-back hike directly to the mine (4 miles round trip). The most challenging part of this hike is found on the full loop, climbing up the southeastern aspect of the mountain. The signage at the parking lot indicates that you should hike the loop clockwise, but I have found that hiking counter-clockwise is more enjoyable. That way you get the less inspiring wash slog done right away and save the highlights for the latter half of the hike. Get started from the large parking lot at the end of Lost Horse Road (off of Key’s View Road). An obvious wash is located at the terminus of the parking lot with signage indicating Lost Horse Trail. If you want to hike the loop counter-clockwise you should walk back out of the parking lot (to the west) and look for a faint trail over the small hill to the south. 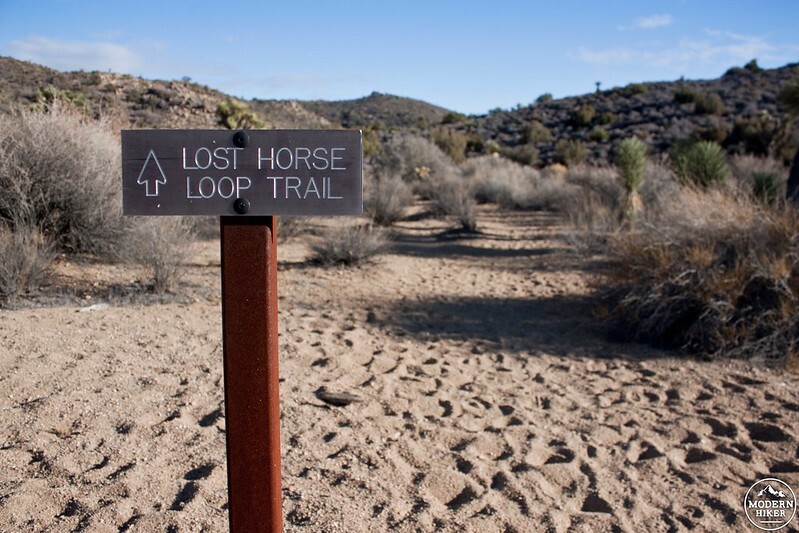 Another sign indicates that the Lost Horse Loop Trail begins here. The first section of the loop hike wraps around the southwestern flank of Lost Horse Mountain. 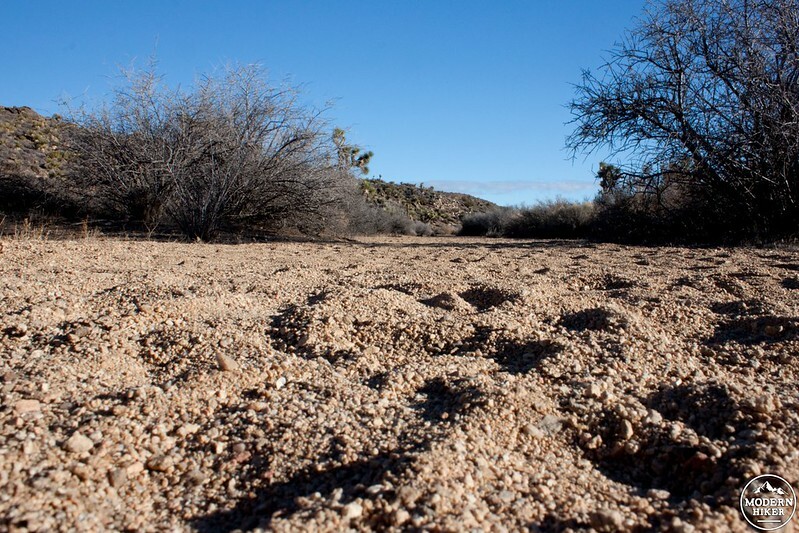 Sections of the trail disappear for brief periods of time as it dips and crosses Quail Wash. Look for signposts roughly every ¼ mile to indicate you are still on track. 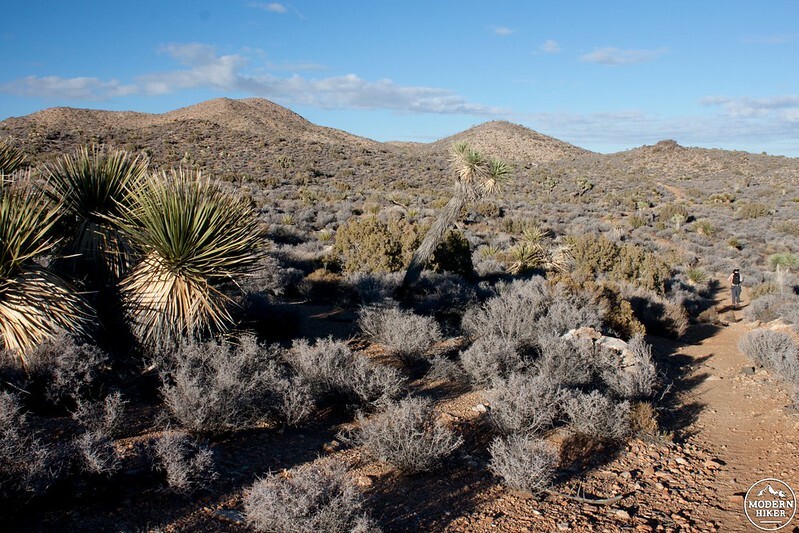 You’ll be hiking through classic Mojave Desert flora including a mix of joshua trees, yucca, creosote, and the occasional juniper. After 2.25 miles the trail leaves the wash and climbs over a gradual saddle as it heads west. At mile 3.6, remnants of the Optimist Mine bunkhouse are found scattered along the southern side of the trail. Over 300 mine sites were established within the current boundaries of the park. Optimist Mine is an example of the failure the vast majority of mining operations encountered within a few years of being established. A stone chimney, broken bed frame, and assorted pots and boxes are all that remain. It’s interesting to consider how just a mile away Johnny Lang and his partners were making up to $3000 a day on their mine while places like Optimist struggled to even get going. Now for the big climb. 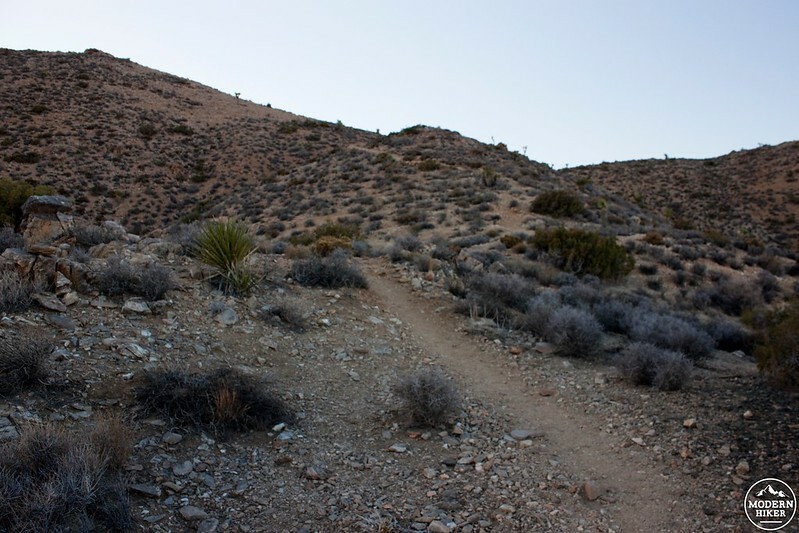 The trail takes a short (0.8 mile) but steep (350 ft) climb from the chimney to a prominent saddle overlooking Lost Horse Mine. Sections of this trail get a little rough so watch your step. Enjoy increasingly stunning views of Pleasant Valley to the east as your legs feel the burn of the climb. Down in Pleasant Valley sits a prominent mountain named Malapai Hill. The black basalt which covers Malapai was caused by an intrusive igneous layer over 100,000 years ago. Geology Tour Road is a great way to explore Pleasant Valley. 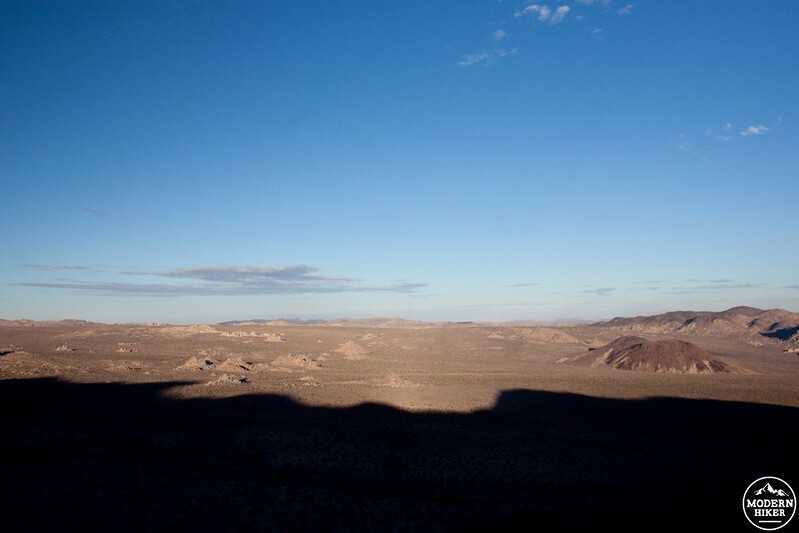 If you have a high clearance vehicle you can drive the 14 mile interpretive road and learn even more about the fascinating geologic processes that shaped this landscape. Standing at the saddle at mile 4.5 you get your first look at Lost Horse Mine. Before you head down to the mine aim southwest and scramble off-trail up to the summit of Lost Horse Mountain. The views from the top are undeniably worthwhile. The mine site itself is located just down the hill from the saddle. Lost Horse Mine underwent a series of improvement after the initial gold strike. 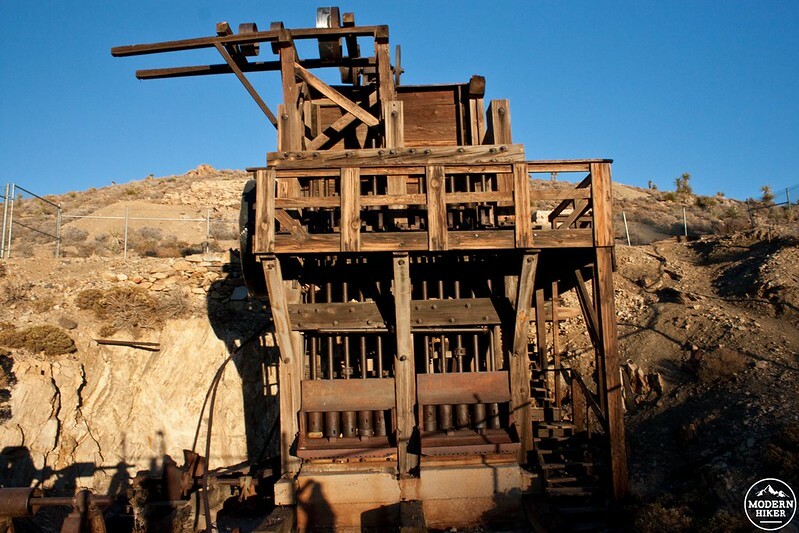 Gold was processed by crushing the ore down with ten 850-pound stamps. Water was added to create a slurry which washed over mercury-covered copper plates. The gold stuck to the mercury and was formed into gold bricks which were taken to Banning each week via stagecoach. The mine closed in 1937 and slowly broke down as the wood buckled and underground tunnels began collapsing. While the mine site has now been stabilized by the park service, it is still unsafe to walk on. A fence marks the perimeter of the site to protect visitors and keep this historic landmark preserved. Various other relics can be explored close up outside the fence. When you are done at the mine, finish the loop by following the trail another 2 miles. This stretch is the same as the direct out-and-back option. The last leg follows an old road that was built to create easy access to and from the mine. Vegetation is very sparse throughout Lost Horse Mountain because lumber was needed to pump water through the mine’s refining equipment. The little vegetation that managed to survive was burned in a 450 acre wildfire in 2009. Now the hike down is marked with the black remains of joshua trees. 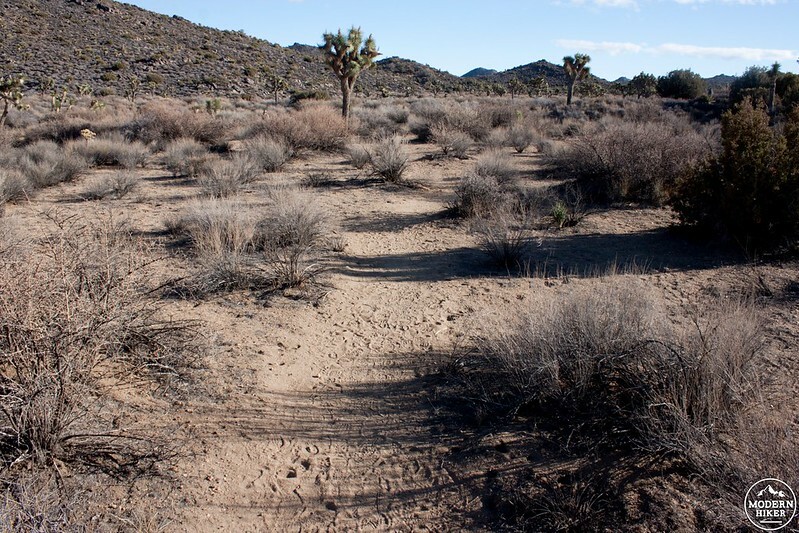 Fires leave an especially harsh impact on a desert environment, which is why Joshua Tree has a fire suppression mandate. It will take a long time for the ecosystem at Lost Horse Mountain to rebuild itself. Once you get back to the trailhead make sure to swing by Key’s View and Inspiration Peak, located just down the road. The views into the Coachella Valley and San Jacinto Mountains are especially good at sunset. Stretches of the trail as it parallels Quail Wash can disappear, but markers are located every 1/4 mile to verify you are on track. Climbing up the backside of Lost Horse Mountain is fairly steep and loose, take your time on the ascent. The trail directly to the mine is a wide gravel path that is in good condition. Ryan, and Hidden Valley campgrounds are closest. Each campground has first-come, first-served sites for $15 per night. More camping can be found to the east on Park Boulevard. 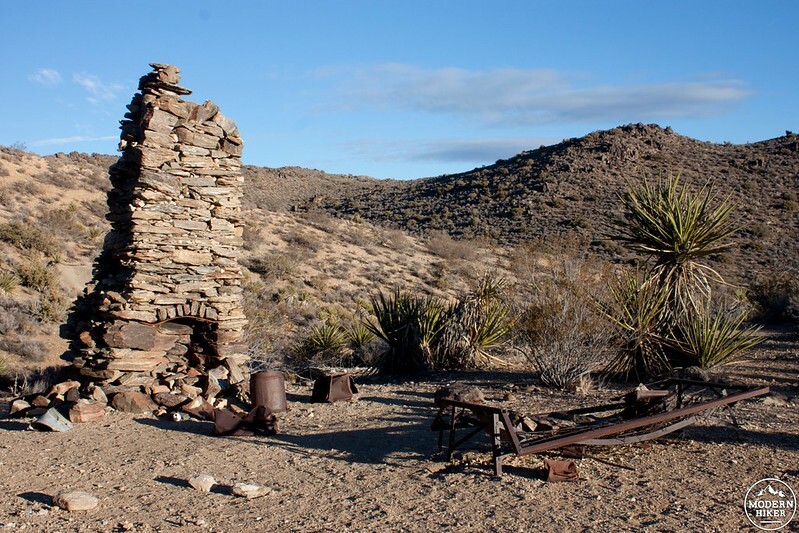 Lost Horse Mine is located along Keys' View Road in Joshua Tree National Park. From Highway 62 at the town of Joshua Tree, turn south on Park Boulevard. Continue straight for 15 miles as the road enters the park. Turn right onto Key's View Road, then continue another 2.4 miles. Turn left onto Lost Horse Mine Road and follow it for 0.9 miles to the parking lot. 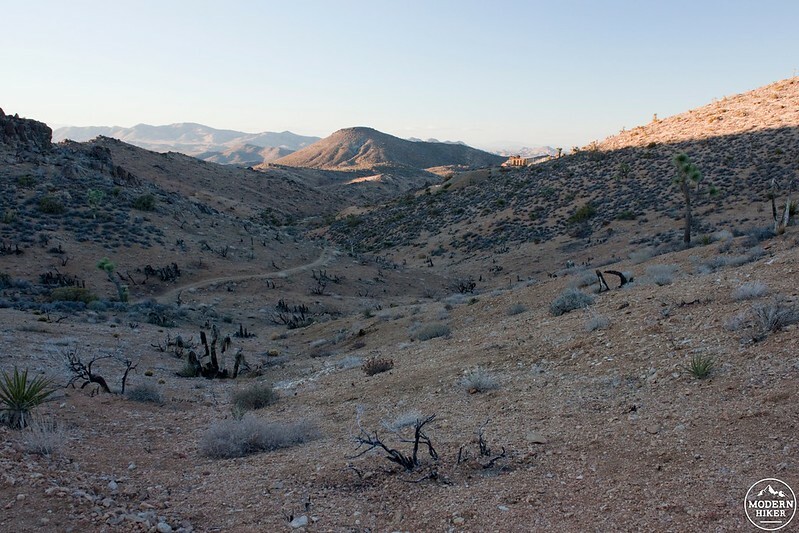 Well, for what it's worth, my hike there, back in 2013: Lost Horse Mine. I didn't go off-trail to approach the structures. Nice hike. Great views.